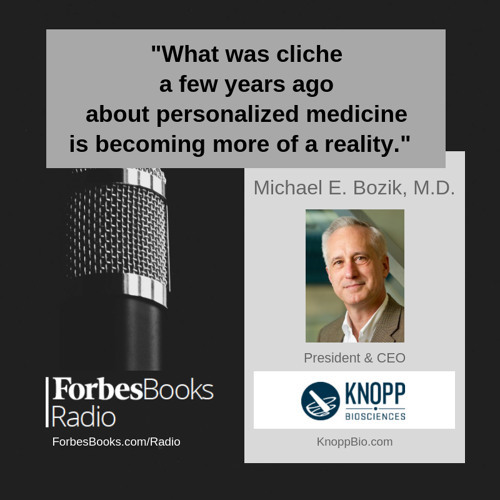 Users who like Michael E. Bozik, M.D., President/CEO of Knopp Biosciences (KnoppBio.com); their mission is to discover, develop & deliver breakthrough medicines for urgent unmet medical needs, focusing on treatment of devastating immunological and neurological diseases. Users who reposted Michael E. Bozik, M.D., President/CEO of Knopp Biosciences (KnoppBio.com); their mission is to discover, develop & deliver breakthrough medicines for urgent unmet medical needs, focusing on treatment of devastating immunological and neurological diseases. Playlists containing Michael E. Bozik, M.D., President/CEO of Knopp Biosciences (KnoppBio.com); their mission is to discover, develop & deliver breakthrough medicines for urgent unmet medical needs, focusing on treatment of devastating immunological and neurological diseases. More tracks like Michael E. Bozik, M.D., President/CEO of Knopp Biosciences (KnoppBio.com); their mission is to discover, develop & deliver breakthrough medicines for urgent unmet medical needs, focusing on treatment of devastating immunological and neurological diseases.